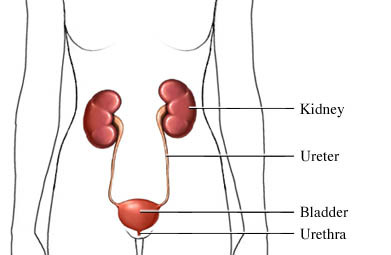 The urinary tract is a system of organs. Wastes are filtered from the blood to make urine. It moves through the tract until it passes from the body. A UTI can happen in any of these structures. A medical procedure or surgery. Placing a catheter—A tube placed through the urethra and into the bladder. Bacteria climb the tube into the bladder. Many types of bacteria can cause a UTI. Rarely, they can be caused by fungi. In children, they can be caused by viruses. What are the risk factors for a urinary tract infection?What are the symptoms of a urinary tract infection?How is a urinary tract infection diagnosed?What are the treatments for a urinary tract infection?Are there screening tests for a urinary tract infection?How can I reduce my risk of getting a urinary tract infection?What questions should I ask my doctor?What is it like to live with chronic urinary tract infections?Where can I get more information about urinary tract infections? Definition & facts. National Institute of Diabetes and Digestive and Kidney Diseases website. Available at: https://www.niddk.nih.gov/health-information/urologic-diseases/bladder-infection-uti-in-adults/definition-facts. Updated March 2017. Accessed September 20, 2018.